Henrik Christensen, one of the most influential robotics researchers in the world, is joining the University of California San Diego. He will direct the UC San Diego Contextual Robotics Institute and serve as a professor in the Department of Computer Science and Engineering at the Jacobs School of Engineering. Christensen is leaving his post as executive director of the Institute for Robotics and Intelligent Machines at the Georgia Institute of Technology to come to UC San Diego. Over the past three decades, Christensen has established a stellar track record of leading robotics institutes and bringing them to the forefront of the robotics field. Ten years ago, he took over the Institute for Robotics and Intelligent Machines at Georgia Tech. The institute quadrupled its funding during that time and rose to one of the top three robotics programs in the nation. He had similar success building up the Center for Autonomous Systems at Sweden’s KTH Royal Institute of Technology as well as the EU Network of Excellence in Robotics. Christensen’s own research covers computer vision, artificial intelligence and robotics, and his primary emphasis has been on a systems-oriented approach to machine perception, robotics and design of intelligent machines. 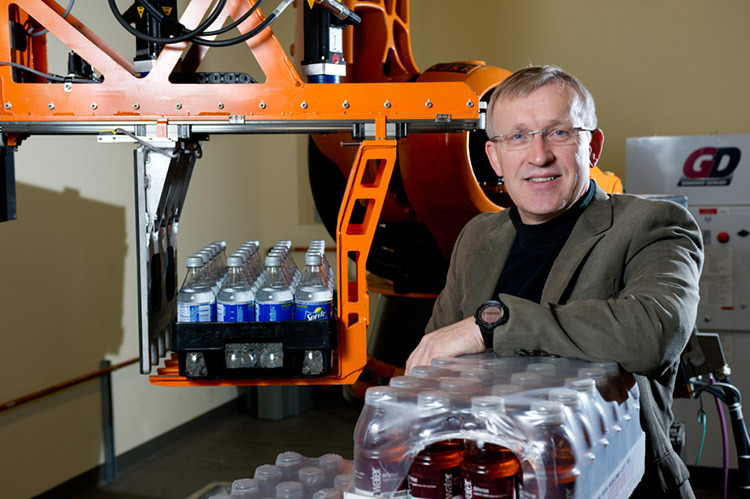 He has worked with a number of industry partners, including Boeing, KUKA, iRobot, BMW and Apple.